Eco Enviro Group Ltd, leading skip hire service in Bramhall, offers the most cost effective waste and recycling solutions for businesses and residential homes. If you are a homeowner looking for a cheap skip hire in Bramhall or a local business looking to hire a skip in Bramhall, we will always meet your requirements. If you would like to find out more about how help to clear waste efficiently and quickly then simply give us an email today on : office01ecogroup@gmail.com or call us on : 0161 793 0000. Our team is always at the ready to answer your calls and enquiries that you may have. Why choose Eco Enviro Group Ltd? We are a very successful team of really hard working, waste removal experts, we remove all our customers waste securely and safely while sticking to all the environmental regulations. We are a renowned company for outstanding skip hire and always deliver solutions to help build and maintain a large diverse customer base. We also offer some of the best skip prices in the whole of Bramhall and work hard to help those businesses and homes get rid of unwanted waste. Struggling to find the right skip? Give us a call and our team will help you to your requirements, the size of the skip for your waste when you decide to choose a skip to hire in Bramhall. A lot of times people miss judge the space that is required for their rubbish, which then means that they hire a skip that is far to big wasting a lot of money or they fill the current skip they have hired and then need to hire another skip. Our handy team will help you find the right size skip to get the job done correctly. The size of cheap skip hire in Bramhall always depends on two things, the weight of the waste and the total amount of waste you wish to dispose off. 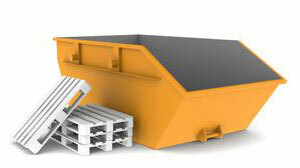 Our skips range from 2 yards mini skip all the way up to 40 yards maxi skip. If you are a local homeowner or business that is looking to hire a skip for cheap in Bramhall, then this is the right product that you will need. We can adapted to many different types of waste purposes, scrap metal , garden waste, demolition waste and much more. We offer a same day dispatch and pick up which means you can get rid of waste quickly and effectively.